1939 was the beginning of a long tradition of health care coverage in Nebraska. A group of medical professionals, business leaders and others came together to create an organization that today serves over 700,000 people. To millions of Americans, Blue Cross and Blue Shield represents peace of mind when it’s needed the most. That’s because the Blue Cross and Blue Shield brand represents the nation’s largest and most experienced health care benefit companies. The Blue Cross and Blue Shield organization is not one single company, but rather a confederation of independent, community-based Plans. Collectively, Blue Cross and Blue Shield Plans cover more than 98 million people – nearly one-third of all Americans – in all 50 states, the District of Columbia and Puerto Rico. With the power of Blue, we are able to provide broad network access and competitive discounts to our clients. We are a Nebraska-based company, well-versed in the intricacies of employee health benefits. Our Customer Focus philosophy continues to provide our members with world-class customer service and quality programs. To lead the way in supporting patient-focused care. A healthcare world without confusion that adds more good years to peoples’ lives. Invite change to create opportunity. Be open, honest and respectful to inspire trust. Steven (Steve) H. Grandfield is president and chief executive officer of Blue Cross and Blue Shield of Nebraska (BCBSNE). Previously, Grandfield served as executive vice president of strategy and innovation, talent, sales, marketing and products, as well as president and chief operations officer for Genesys Innovations, LLC, a company owned by BCBSNE focused on information technology innovations for the health insurance industry. Before coming to BCBSNE in 2003, Grandfield was senior vice president, general manager at First Data Corporation. He currently belongs to the AIM Institute, in addition to serving on the Blue Cross Blue Shield Association data committee and the Prime Therapeutics Board of Directors. Grandfield earned bachelor’s degrees in business management from Northwest Missouri State, and in electrical engineering from the University of Nebraska. Grandfield is active in community service and currently serves on the Ak-Sar-Ben Board of Councilors and the Greater Omaha Chamber of Commerce Board of Directors. Susan Courtney is executive vice president, operations, business process and shared services at Blue Cross and Blue Shield of Nebraska (BCBSNE). Previously, Courtney held managerial positions at Ford Motor Company, Hormel Foods and First Data Resources. She is a veteran of the U.S. Navy, where she was a Naval Flight Officer for six years. Courtney is active in community service and currently serves on the Women in IT Task Force and as a board member for the Child Savings Institute. In 2012, Courtney was named “Technology Leader of the Year” by the AIM Institute. She was also recognized as one of Insurance & Technology’s Elite 8 Technology Executives for 2014. Courtney earned a bachelor’s degree in computer science from the University of Minnesota. Dale Mackel is executive vice president, finance and administration for Blue Cross and Blue Shield of Nebraska. He is also a member of the company’s executive management team. Mackel is a health insurance executive with more than 25 years of experience in operations and finance. Prior to joining BCBSNE, he was a market president for Aetna. He has also held additional key leadership roles, including chief operating officer, chief financial officer, controller and director of global financial planning and analysis, at such organizations as Coventry Health Care and Motorola. Mackel earned bachelor’s degrees in business and finance from the University of Nebraska at Kearney. He also holds a master’s of business administration and finance from the University of Iowa’s Henry B. Tippie College of Business. Dr. Joann Schaefer is Executive Vice President at Blue Cross and Blue Shield of Nebraska. She oversees the company’s Risk Adjustment, Health Network Services, Case Management, Reimbursement Strategy, Utilization, Quality, Pharmacy, Medical Policy and Wellness areas. Prior to joining Blue Cross and Blue Shield of Nebraska, Dr. Schaefer served in a dual role as chief medical officer and director of the Division of Public Health for the Nebraska Department of Health and Human Services from 2005 to 2013. Before that, she practiced family medicine and served as a tenured associate professor in the Department of Family Medicine at Creighton University Medical School. Throughout her career, Dr. Schaefer has worn multiple hats, from physician and public health officer to regulator and now payer, maintaining her focus on helping people live their healthiest lives. Of note, she was involved with disease outbreak investigations, the implementation of numerous safety net programs for the vulnerable, biosecurity strategies, protecting public drinking water and holding a position on the Environmental Trust Board. Through this broad range of experiences, Dr. Schaefer has developed a passion for making healthcare easier, safer, more affordable and more understandable. During her tenure at Blue Cross and Blue Shield of Nebraska, Dr. Schaefer has worked with her team on developing the necessary tools to help transform health care into a more patient-focused system. She also serves on community boards that share a similar purpose, such as Live Well Omaha, the Salvation Army and The Lane Thomas Foundation. Personally, she leads by example and believes that a healthy lifestyle, along with a positive attitude, can make a difference in life and longevity. She is a liver transplant patient and has completed more than 25 half and full marathons, as well as one 50k. Dr. Schaefer graduated from Creighton University Medical School and is board-certified in family medicine. 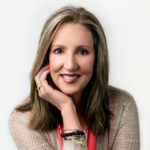 She has been recognized by both Creighton University Medical School and California State University-Fullerton, where she received her undergraduate degree, for her service and as a distinguished alumnus. Steven S. Martin is chief executive officer emeritus of Blue Cross and Blue Shield of Nebraska (BCBSNE). Martin was previously chief executive officer of BCBSNE. 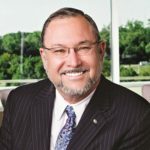 He also served as chief executive officer for Genesys Innovations, LLC, a company owned by BCBSNE focused on information technology innovations for the health insurance industry. Martin joined BCBSNE in 2002 and served on the board of directors of Blue Cross and Blue Shield Association (BCBSA) in Chicago, serving on the Brand Enhancement and Protection Committee and Data Committee of BCBSA. Martin also served as a board director for Prime Therapeutics LLC and Travel and Transport and as Chairman of the Board for BCS Financial Corporation. Before joining BCBSNE, Martin was the founding president, CEO and a board director for Prime Therapeutics Inc., a comprehensive pharmacy benefits solutions company. Prior to joining Prime Therapeutics, Martin spent 12 years with BCBSNE. His previous positions included vice president of health services research and reimbursement and senior vice president for ProPar Services. Martin also held management positions at American HomeCare Inc., the Upjohn Company, HealthCheck Inc. and the Menninger Foundation. Martin earned a bachelor’s degree from Washburn University and a master’s degree from the University of Nebraska. He is a certified professional in the Academy of Health Care Management and a National Association of Corporate Directors (NACD) Board Leadership Fellow.